GAGA - New Double-A Single "Chijou / Gekidoku" Announced | VKH Press – J-Rock & Visual Kei Coverage Worldwide! Great news for GAGA fans! The band will be releasing a double A type single this winter. The single is called Chijou / Gekidoku (痴情／劇毒). The single will be on sale December 30 in 2 types. The Limited Edition will come with 3 tracks and will cost 1800 yen. As a bonus, the first press releases will come with 1 photo-card out of 5. The Live-Limited Edition will come with 3 tracks and will also cost 1800 yen. This version can be bought starting on December 16 for pre-sale. The bonus will come with a special band card and that those with a special ticket from the single can participate in a special photo session after the band's one-man on January 27, 2016. In addition, the single will also be on sale via their official shop as well. Also, GAGA announced they will be holding a free live this January. 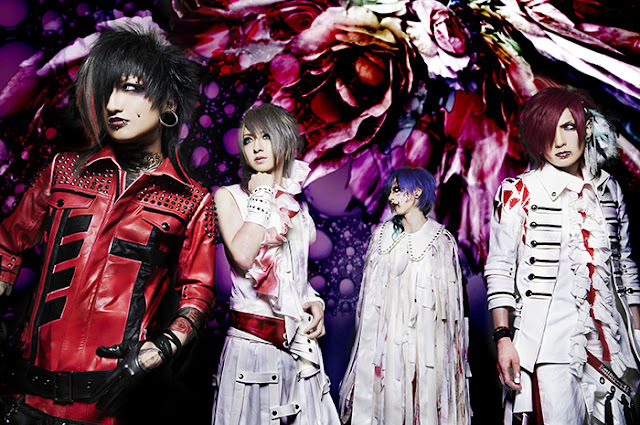 It is called "痴情ノ赤 (Chijou no Aka)" and it will take place on January 2, 2016 at Shibuya REX.